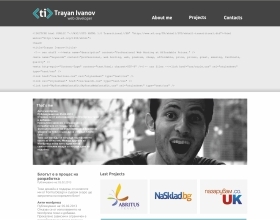 A full website redesign of the biggest Bulgarian torrent website. Starting with the logo - I didn't want to change it completely. I don't know what the symbol means, but it works. it's known, it's familiar. I worked only with the font, making it more legible and nice for the eye. The used font is a web font which makes it easier to implement and works well on different monitor resolutions. 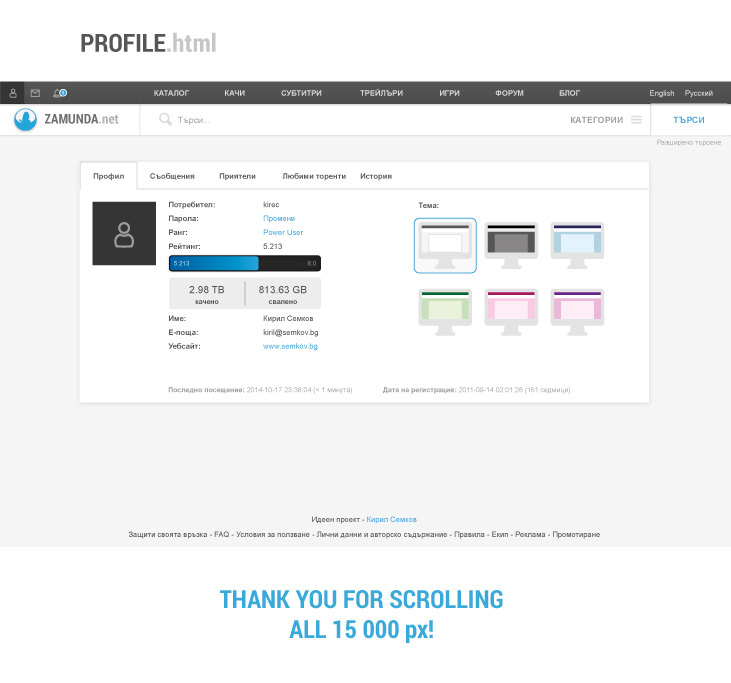 HOME PAGE - Starting from top to bottom we have the header with the important links together with the user’s easy access profile, messages and notifications. Having them in such a way I wanted to make the torrent site a bit more socialize. 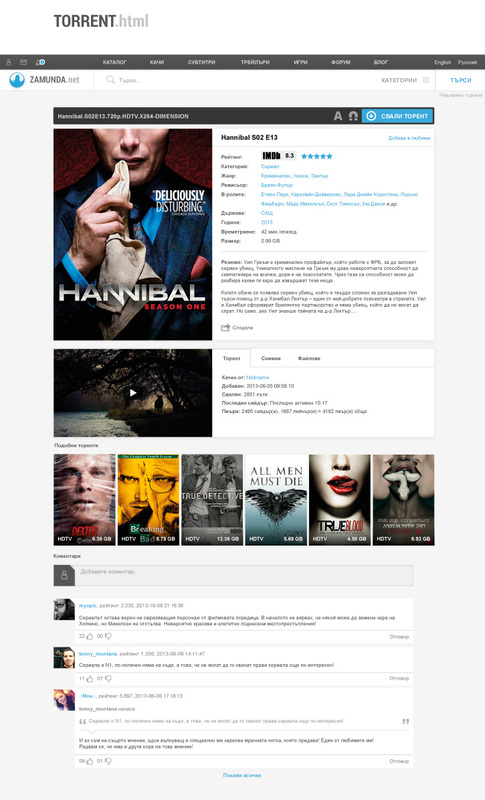 Users could communicate more, share different torrents, helping each other to find the long searched movie or game. With the notifications you can see if someone answered on your comment, someone added your torrent in favorites and more. The header is changing dynamically depending on your monitor resolution. 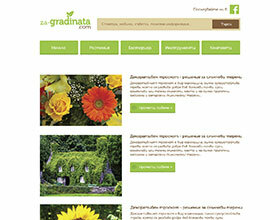 It could be build with responsive design or to have it's own mobile version, for easy to use on your smartphone. 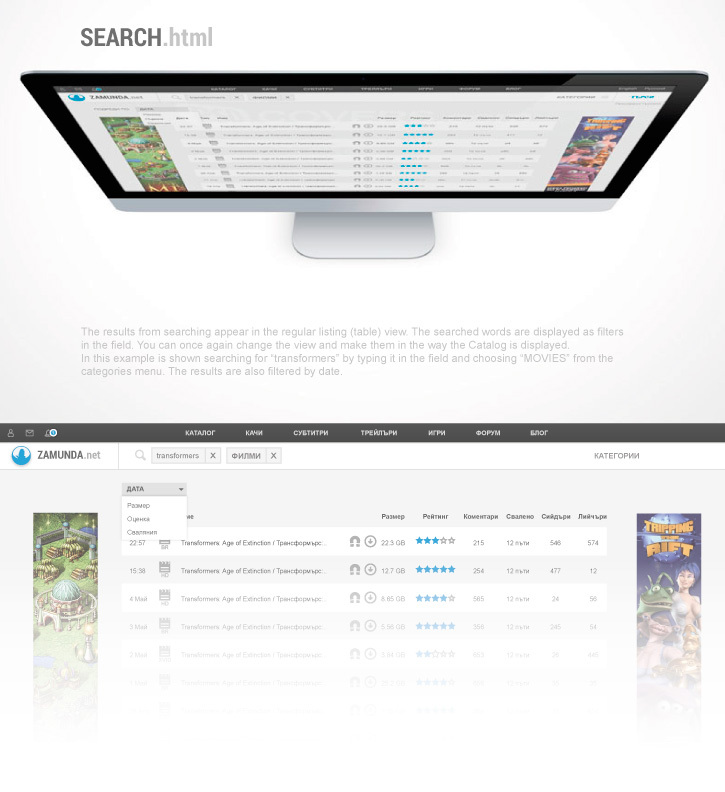 Search field - in it you can search for all kinds of torrents, tags (names, countries and more). On the right hand side you can filter your search by adding any category and press the big SEARCH button. The most active top 12 torrents are shown in a pleasant thumbnail view which you can change to list view if it's too flashy for you. Space is provided for standard size banners. 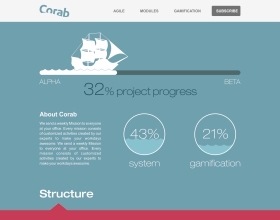 You see some screens that are shown examples, on some I focused mainly on the content. There are gif visualizations on how I picture the mobile version could work, as well as showing the desktop. I also provide an icon redesign set in a more modern and cleaner look, as well as all hover effects, drop down menus, expanding descriptions, etc. CATALOG PAGE - most things I took as they are currently implemented. In the examples I have chosen "MOVIES". I love movies and was very hard for me to pick the covers you see now. So having most important buttons and information about the torrent (movie). Clicking on one expands with more detailed info. Searching for names is displayed in a default list view, which you can change to catalog view if preferred. TORRENT PAGE - having a big cover picture with description. Other torrent information is displayed in a tab menu for better layout view and structured info. Similar torrents are shown in the same thumbnail view as on the home page for easier development implementation. First three comments are available to reed. NAMES PAGE- Every torrent page has it's own names (tags) in the description. Example: actress Natalie Portman, her description, movie covers she's known for and a full list of her Filmography. The idea of the whole redesign is to have everything you need in one place. To not go to You Tube for trailers, to not go to IMDB to see movie ratings and actor info. For example in the search field you will be able to search for names (actors, countries) the same as other websites. The profile page is very poor in the current design. I decided to give it a twist and make it more user friendly by adding a rating bar visualized as a loader and to give you a better feeling of where you stand in the platform, also to inspire you to upload more for a bigger rank. Now you have the option to choose themes for the interface, to make it a bit more personal. This redesign is a personal concept project. Nobody from the Zamunda team has contacted me. I just made it for personal satisfaction. Whenever I see something wrong I get inspired and think of a better way to make it work and look.